I am addicted to Cathedral window technique … I just love it!! It all started with my mum, she brought home this little piece, which didn’t have a border and didn’t have a filling in the windows, but we finished it together and it’s still hanging in our house! 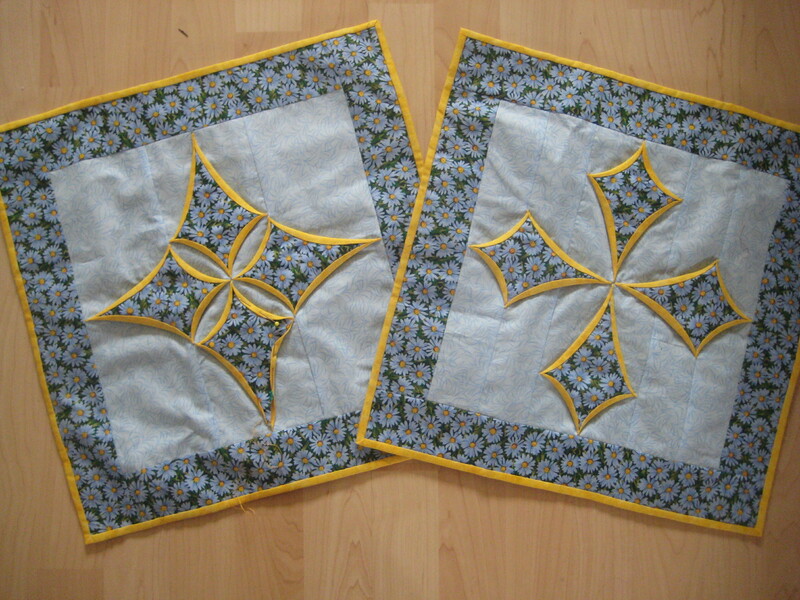 The next project was for Jasmine – she was just born, my mum was still with us in UK, so we were creating and sewing. I bought the yellow fabric with intention of making something for Jasmine. 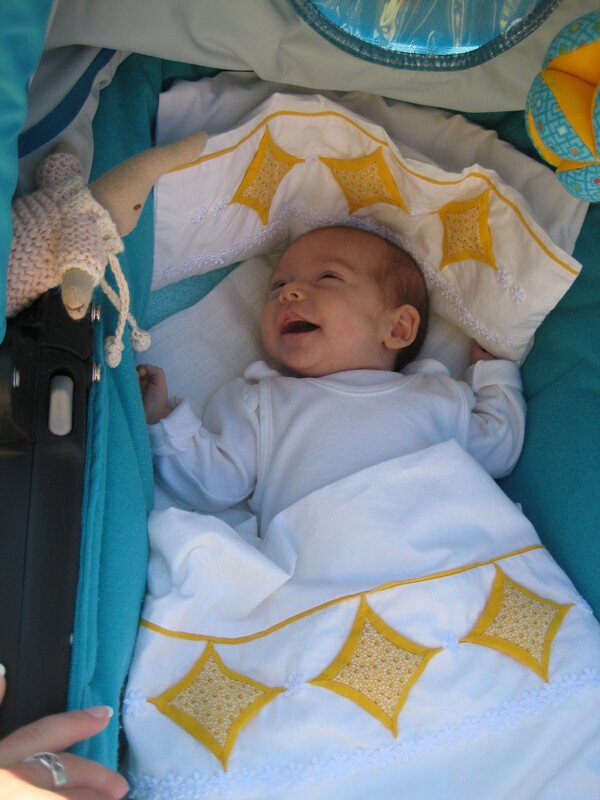 And so with my Mum’s help we made together this cushion and duvet cover to look pretty in a pram, and doesn’t she look great!? 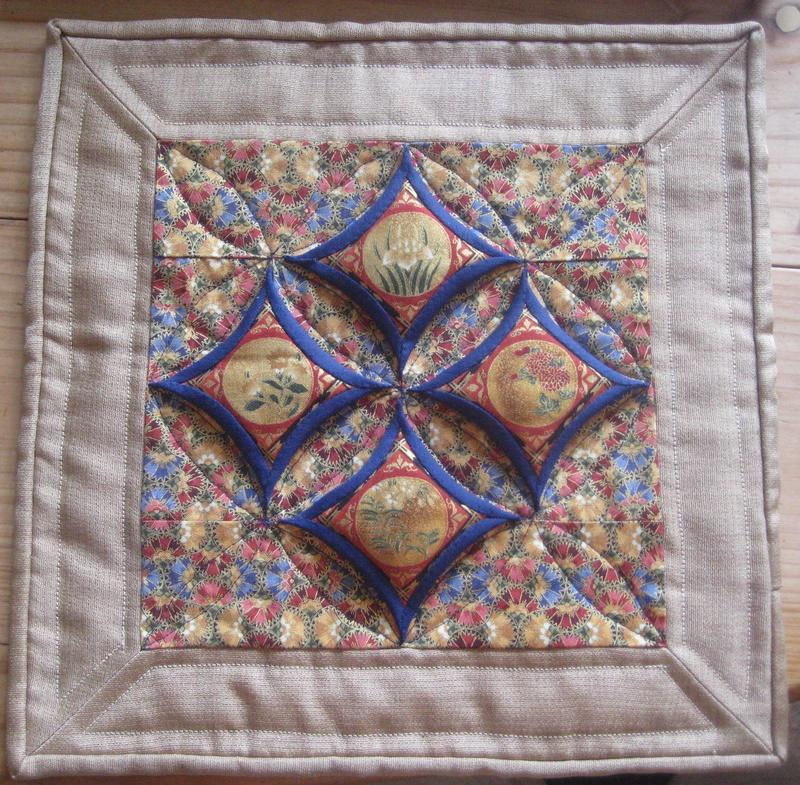 So once we opened the shop, cushion using this technique had to appear on our workshop list, and ever since I did quite a few of them!! After making several cushions I started to be little bit addicted to the technique …so I made a wall hanging … and as a class it’s very popular and I love the look of it. 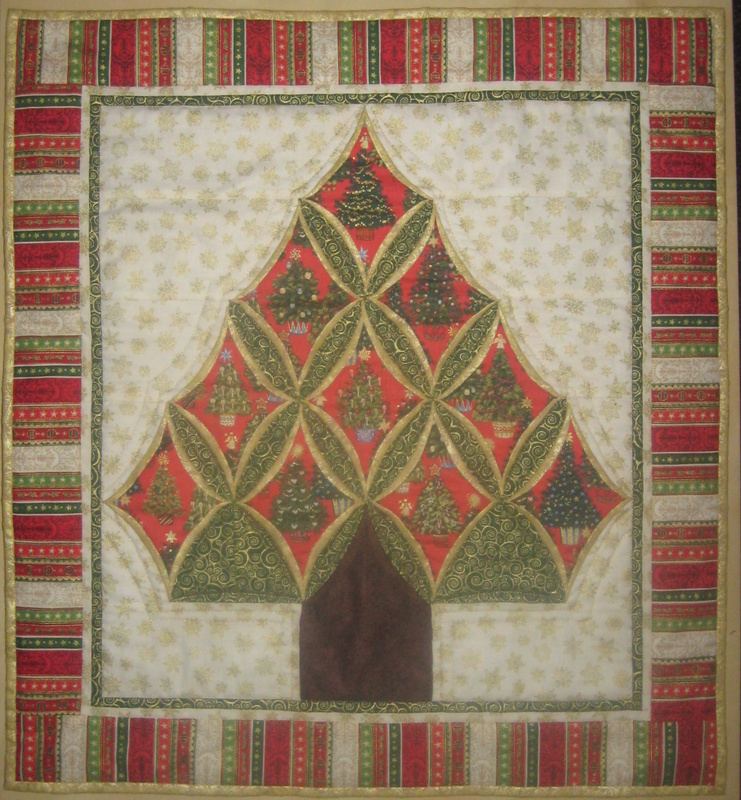 One Christmas I was thinking of some interesting project to do for the workshops and so I came up with the Christmas tree, using more elongated shapes to achieve the right shape of the tree. It was a lot of thinking, but I loved the challenge it gave me. Then I wanted to make something just for the pleasure of making it – no workshop in mind – just enjoying making it. Friend of mine came up with black and gray and pink combination when buying fabrics in our shop and I loved it, so I decided to use it on my next project and it happened to be this wall hanging. It’s still missing quilting in the middle two “circles” but I’m still playing in my mind with the ideas … so we’ll see soon. 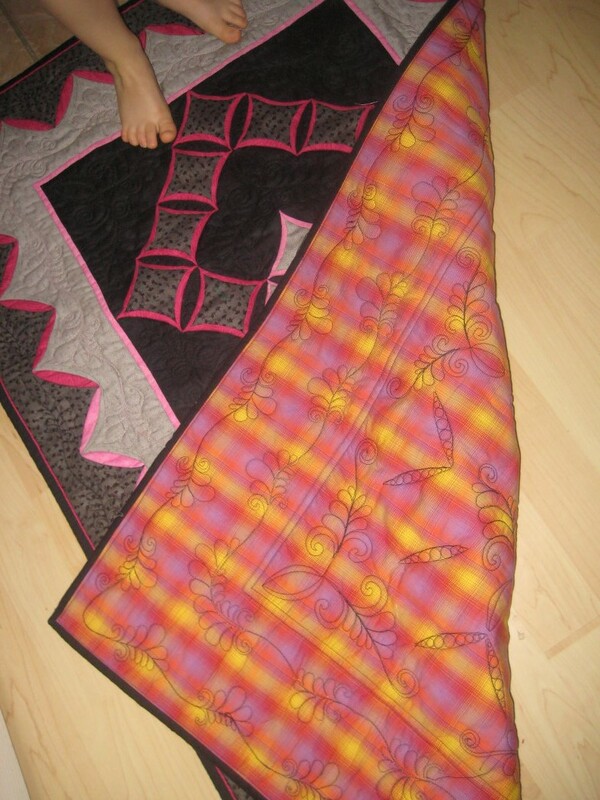 The second picture is showing the quilting from the back and YES those are Jasmine’s feet standing on it!! The latest finished project a re another cushions, this time I was playing with one unusual shape of the “window” and the different positions. I first made them in greens, but as we were on holidays, Jake, who was very kindly looking after the shop sold them ( I must say with my permission, I just didn’t realize which cushions is he asking about ) So the blue duo fo cushion is on its way to be finished as you can see. 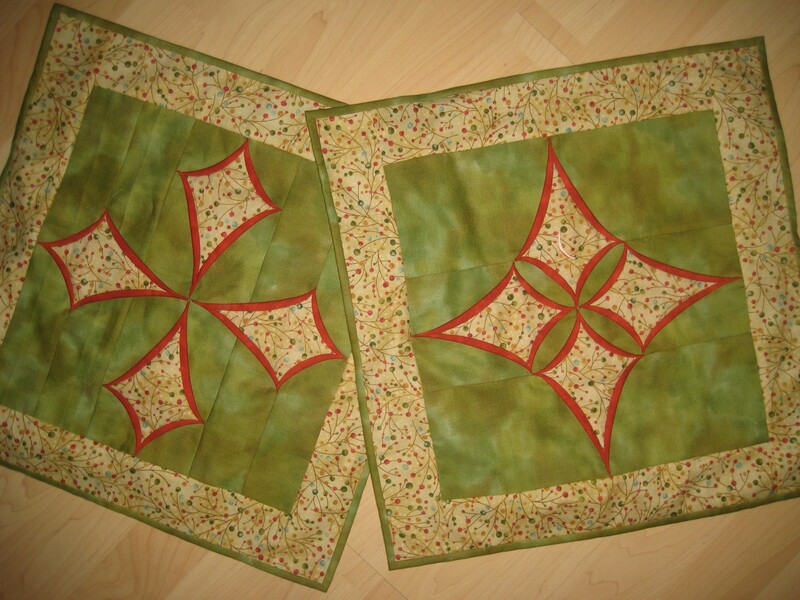 There are actually two more quilts with Cathedral Window technique I’m right now working on, but one is just designed and cut, I barely started to work on in, and the second one, which has much higher priority, will hopefully go to the competition in Birmingham this year and it deserves a post on it’s own!! So look for it!! Once you bring out your emboideries – than we’ll talk about the patience – we just use it differently!! I am trying to remember how to do the elongated cathedral windows. I made them 10 yrs ago and can’t find the pattern. They were done by machine. Do you have instructions?? I unfortunately don’t have the instructions just yet, as I’m working on the big quilt to send to Festival of Quilts, but will have it done during Autumn. 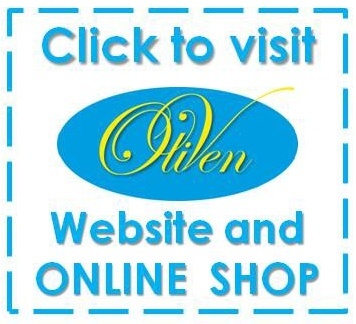 I could send you the templates, or if you have book from Lynn Edwards, you can get the templates from there as well, but have to work out the process yourself, as Lynn is making all of them by hand. I have instructions for the cushion and wall hangings but they are not elongated. 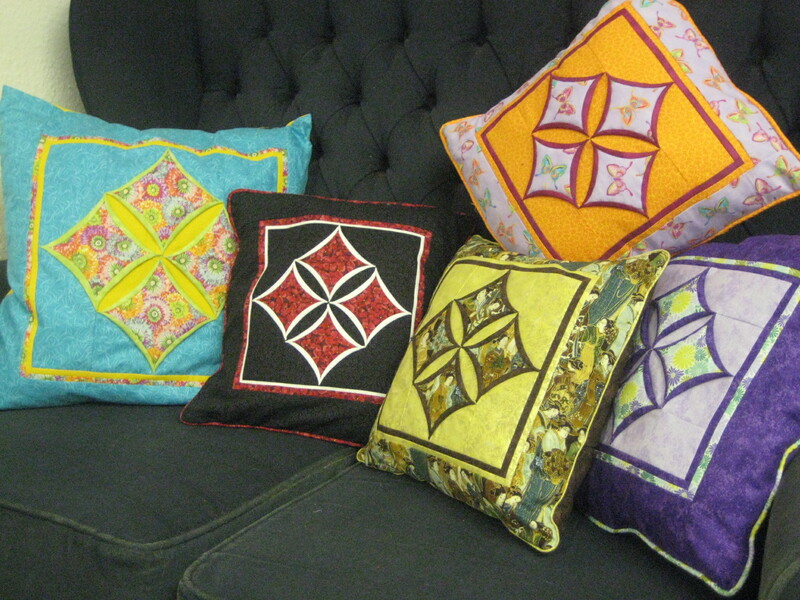 I’ll try to get back to you once I finish the elongated cushions.